Giving Your IRA to Loved Ones? Think Carefully. On April 1, the traditional date of peak-snowpack measurements around the western U.S., snow-water equivalent (SWE) in the upper Henry's Fork watershed was at 106% of the 1981-2010 median. However, this value was only 98% of the long-term mean, based on records that go back into the 1930s at some sites. 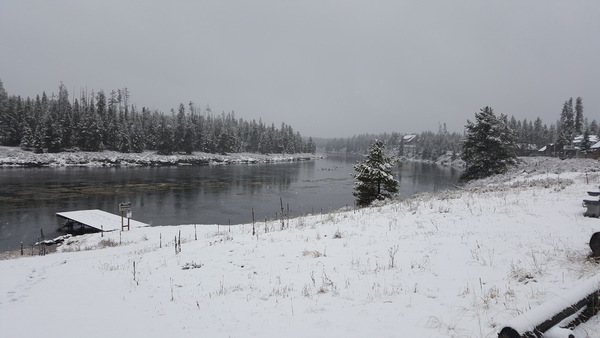 Extensive loss of snow at Island Park, Crab Creek and Pine Creek Pass during the middle of March greatly reduced the amount of snow on the ground on April 1. Seasonal SWE accumulation peaked 10 days earlier than median at Pine Creek Pass and 15 days earlier than median at Island Park. Snowmelt during March contribute to high streamflows over the past few weeks, but that water will not be available when we need it most during mid- to late-summer. Thus, water supply for the spring and summer will be below average in the upper Henry's Fork (upstream of Ashton), despite what appears to be a "good" snowpack. 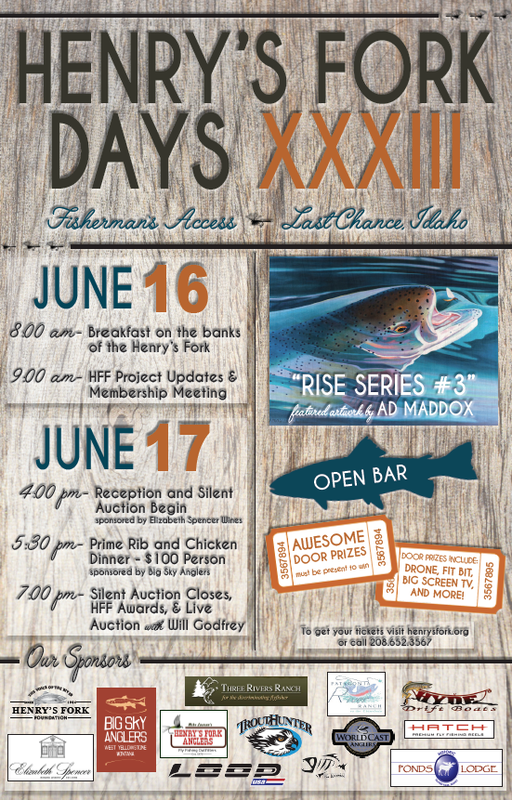 Idaho Gives Only 3 Weeks Away - Are You Ready? Our 2017 Idaho Gives goal is to raise $40,000 toward our Stream Gage Project. 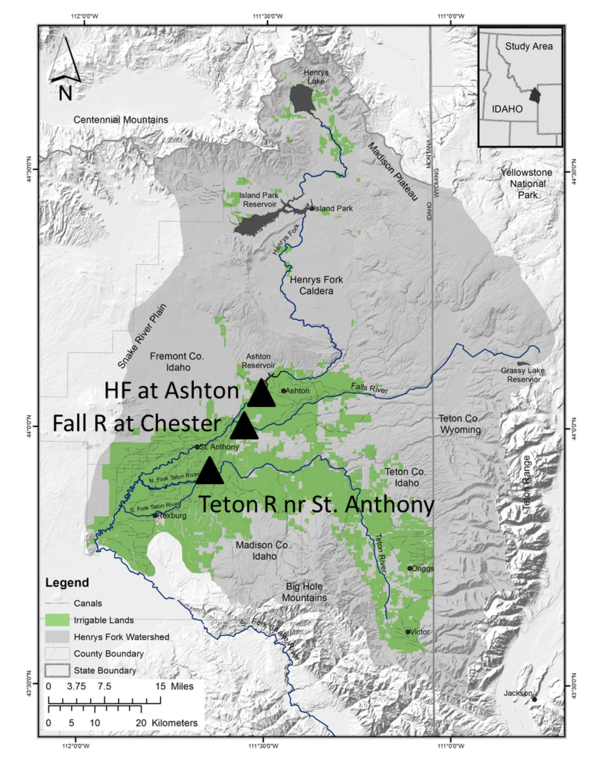 Optimal management of water and fisheries resources in the Henry's Fork requires real-time knowledge of streamflow. The U.S. Geological Survey (USGS) stream gage network is sufficient for delivery of irrigation water and accounting of water rights, but real-time gaging is lacking locations where it could specifically benefit fisheries. Unfortunately, the number of stream gages operated by USGS is decreasing, not increasing. Therefore, HFF has decided to install and operate its own stream gages at locations that will complement USGS stations. 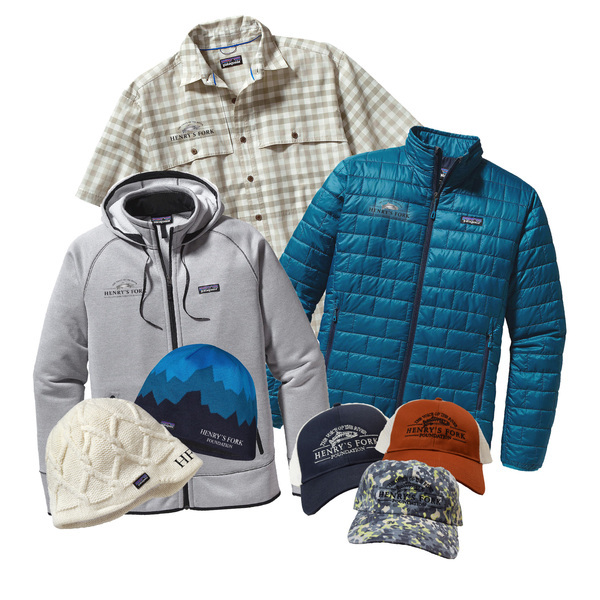 Every donation made to the Henry’s Fork Foundation will be matched dollar for dollar by generous members of the Foundation’s Board of Directors, up to $20,000! And for every $50 you donate, you will receive a raffle ticket for a chance to win a Flycraft Stealth Package, valued at $4,000! For more information, visit our Idaho Gives page HERE. You can and your donation will still be doubled AND count towards Idaho Gives on May 4! 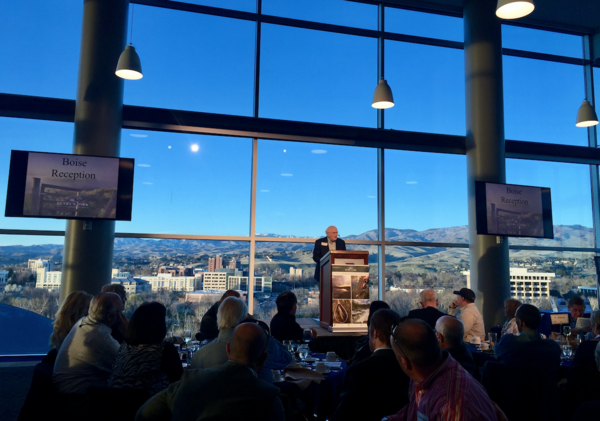 Thank you for making our Boise event a success! It was a wonderful evening with friends coming together to support a great cause. Thank you to our Boise co- chairs, Jerry Nielsen and Paul Schmidt, and planning committee for making the event happen. Special thanks to our speakers, Jack Roberts and Dr. Rob Van Kirk. With record attendance, an energetic live auction, and more, it was definitely an evening to remember. Our work would not be possible without the generosity and support of our members. Thank you for another amazing year! 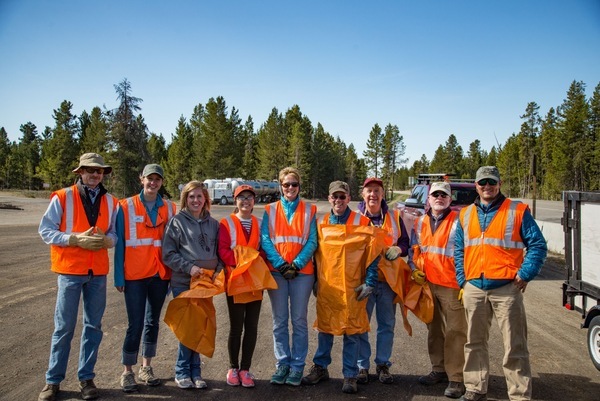 Join HFF staff and interns on Friday, May 12th at 10 AM for a roadside cleanup in Island Park. Lunch will be provided. Please email or call Jamie Laatsch to confirm attendance and for more information on meeting location, etc.